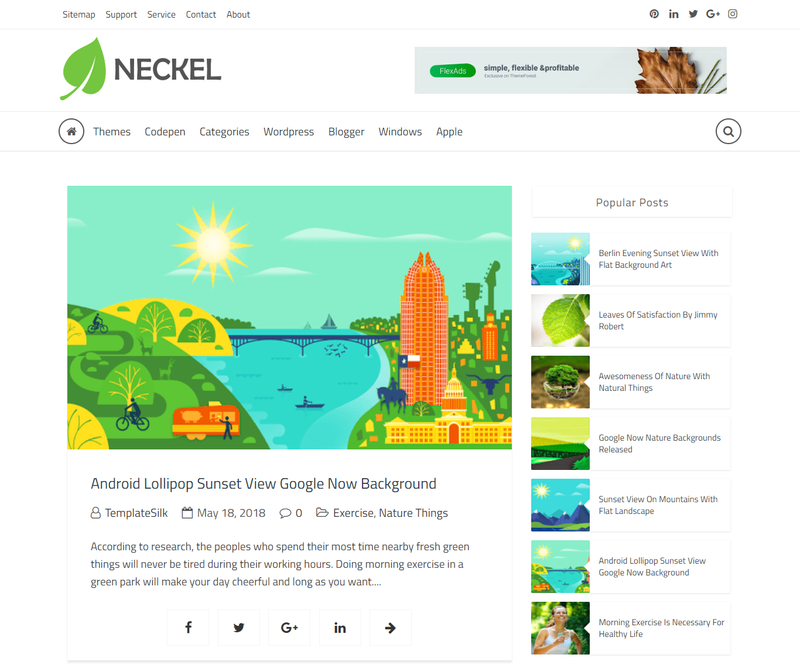 This time we are releasing a new Fresh multifunctional blogger theme Neckel which is specially made and designed for article writing blogs by keeping intend the loading speed factor of Google Algorithms as well as their new updates. This theme loads within 0.6 second without losing the UI quality of theme and quality of images. So let's start to review this theme features one by one as mentioned below. Like our previous theme Beckel, this theme is also compatible with Ultra Responsive fluid layout without any single breakpoint. Neckel is fully compatible with new release schema and meta tags along with the Google Friendly heading sequence. 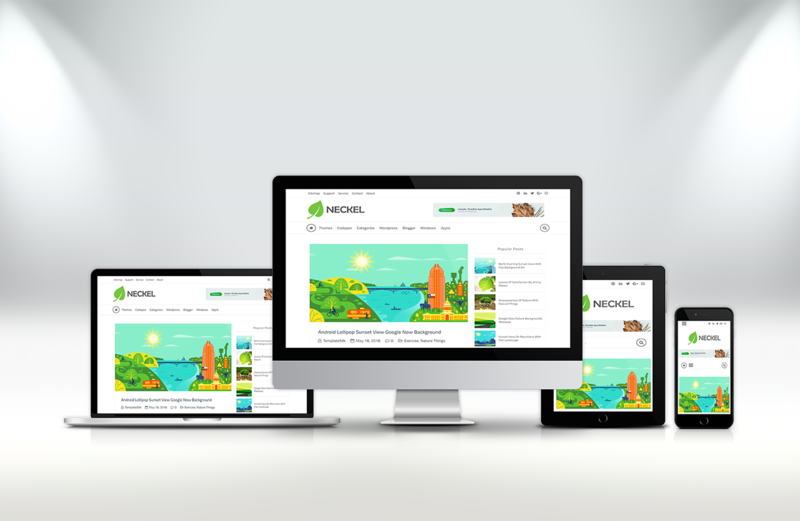 The premium version of Neckel has more features and optimization in terms of SEO. This theme is totally compatible with social media Optimization like twitter meta cards and facebook graph meta tags. 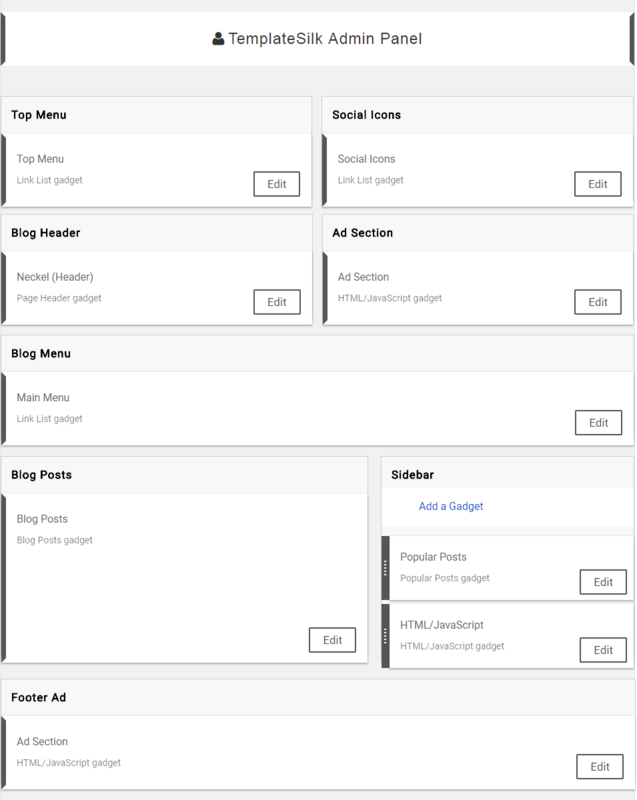 We have added some new positions of ad banners so that you could easily get high CPR rate by placing the more ads on one page. Like Beckel, it has also a customizable compatible navigation area in which you just need to copy/paste the links with dragging up and down positions. 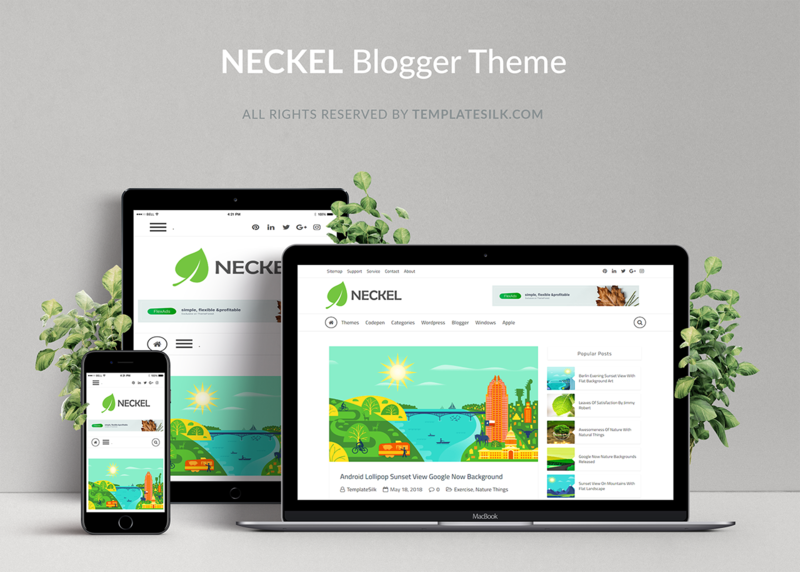 The main purpose of this theme Neckel is fast load, so this theme loads under 0.6 seconds which is very valuable and attractive for all users who want to use fast load web theme. This theme is purely supported with RTL Right to Left language blogs. This theme has a premium in-post as well as out-post design with professional related post area, social share buttons, and quality fonts. 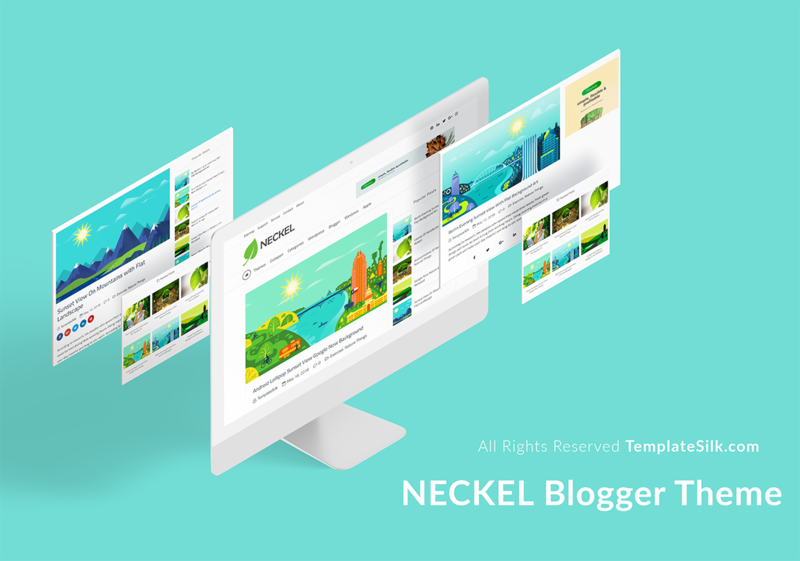 Like our previous themes, Neckel also supports the custom design powerful admin panel of TemplateSilk by which you can easily add widgets and edit things in a more reliable way. Neckel is shortcode friendly with customizable options, from which you can easily add and change the buttons, toggles, message boxes, and embed videos. Neckel fully supports the customization area in which user can easily change the colors, fonts and social icons. Experience this turbo speed blogger theme Neckel and mention your views about this in below comment section. And don't forget to review and share this amazing theme with your other blogger mates and readers. Google Chrome, Mozilla Firefox, Safari, Opera, Microsoft Edge, Internet Explorer 9, Internet Explorer 10, Internet Explorer 11, Chromodo and UC Browser. 2017-, TemplateSilk. All rights reserved.